If it’s one thing that can ruin a good interior design, it’s clutter. No design will look good when it’s filled with clutter, which is why eliminating it is a very important part of interior decorating. Clutter consists of all types of things from having too much furniture in your home to having too many clothes you never wear hanging in your closets. The worse type of clutter is paper because it can be so hard to keep it under control. Most people receive mail everyday and many times, you throw it into a drawer to be deal with later. The same things happen with magazines and even newspapers but over time, the drawers get full and you find a big stack of paper clutter sitting on your table or counters. Eliminating clutter will make you feel better and enhance your interior design and there are two main ways to accomplish this goal. The first thing you need to do to eliminate clutter is to go through your things. You need to clean out those closets, drawers and cabinets to get rid of anything that you no longer have a use for. Even if you don’t do it intentionally, you can collect a lot of unnecessary items over the years. Going through your home and getting rid of everything you don’t need is necessary to avoid clutter. It may seem like a daunting task but it’s a great feeling to finally get rid of all those useless items just taking up space. You will feel refreshed and be so happy with the new look that you’ll wish you had done it a long time ago. Even if you work on one room or one section at a time, find time to get rid of anything you don’t need or want anymore. Organization is the key to getting rid of all that clutter and keeping it out of your home. If you can’t find what you want when you’re looking for it, you need to organize. However, that can be a difficult task. Even after you have gotten rid of everything you don’t need, you still have to find a place for everything you keep. Our interior decorators here at J. 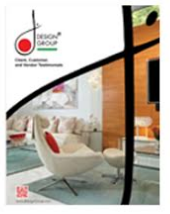 Design Group have the experience and training to help you find unique and efficient ways to organize your home to eliminate clutter for good. Just give us a call and we’ll be happy to assist you with all of your decorating needs or design projects. Clutter makes you feel anxious and it makes it hard to stay focus. It can even make you feel depressed because your beautiful design that you worked so hard to create is hidden behind all the clutter. If you have too much furniture, give some of it away and go through those drawers, closets and cabinets to eliminate anything you no longer need. Then, organize the rest for a clutter free home that enhances your overall design.